Student and professor researchers from the University of Michigan in Ann Arbor have developed a way to predict which houses in Flint have lead water pipes. The researchers estimate that their method of inspecting, identifying, and targeting pipes for replacement could save as much as $10 million – a 10 percent savings that is roughly equivalent to replacing the lead pipes in an additional 2,000 homes. Much of this savings is in avoiding unnecessary excavations. “The biggest pubic investment resulting from Flint’s water crisis is the large-scale removal of lead and other dangerous pipe materials from residents’ water service lines — the pipes connecting most pipes to their water system,” says Eric Schwartz, U-M assistant professor of marketing at the Ross School of Business and one of the directors of the study. The researchers worked with the city and used data science to estimate that three of four houses in Flint have lead in their service lines. While the state has deemed the water safe to drink, doubts remain about whether a home has lead pipes buried underground. Lead leached from the pipes when the water was not properly treated for more than two years after a switch to the Flint River in April 2014. “The risk still varies from house to house,” says Schwartz. The city initially provided researchers with a dataset describing each of more than 50,000 parcels in the city. Using hand-drawn maps stored by the water department, researchers created an extensive database that allowed Schwartz and his team to predict the probability that a house had lead or unsafe pipes. Schwartz and his colleagues coordinated with Captricity, a data technology company, to further the efforts to digitize Flint’s water department’s 100,000 historical public work records on mostly handwritten index cards dating back to 1910. Captricity donated the use of its artificial intelligence software for handwritten recognition, transforming the scanned cards into usable data. The data was provided to the city’s team managing the pipe replacement project, called the Flint Action and Sustainability Team (FAST). The FAST Start Team has now received more than $100 million from the federal and state governments and is making progress in removing lead service lines. However, as many as 75 percent of the city’s homes are still exposed. The researchers’ methods then focused on targeting inspection efforts to most efficiently find and replace homes’ lead pipes. The team also built a data collection app for the city and its contractors to keep track of their work and funds. More than 6 million homes across the U.S. connect to their municipal water systems with lead service pipes, putting the industry’s estimated cost to replace them near $275 billion. The replacement costs would be lower if cities knew which homes have lead lines, but determining the material composition of a single buried pipe is expensive and can cause unnecessary digs. 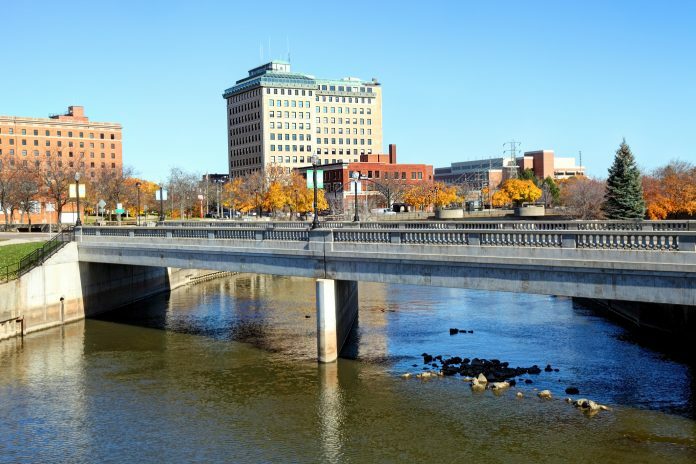 “Many cities like Flint, facing huge uncertainty due to imprecise record-keeping and limited budgets, are already developing plans for large-scale pipe replacement,” says Schwartz. Schwartz and Jacob Abernethy, now an assistant professor at the Georgia Institute of Technology, began their work in Flint in 2016 following a project initiated and funded by Google to support the development of a mobile app allowing Flint residents to determine their homes’ risk levels and other useful information. The study, “Active Remediation: The search for lead pipes in Flint, Michigan,” will be presented at the Knowledge Discovery in Data conference later this month in London.